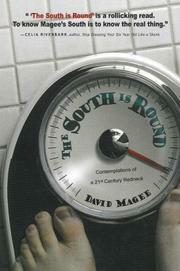 From Chattanooga Times Free Press columnist Magee, an amusing and illuminating series of essays about the New South that read like conversations with a friend. The author grew up in the college town of Oxford, Miss., one of those rare places below the Mason-Dixon line, he writes, where one-third of the residents may recognize the name Charles Bukowski. So he’s well-situated to explain the 21st-century South, a region that continues to maintain its distinctive foibles and state of mind. Good ol’ boys still take off work to go hunting, except that now they pack the deer on a bed of sales brochures in the trunk of an otherwise pristine company-owned Ford Taurus. A weekday golf foursome is served by a pair of “beer girls” in a golf cart who, on a bet, perform some unexpected feats of athleticism at the 17th hole. In other chapters, Magee points out the irony of Halloween being so enthusiastically celebrated deep in the Bible Belt and is amused, but not at all surprised, that he knows people devoted to reading both Racer magazine and the Dining Out section of the Wednesday New York Times. With gentle humor that recalls the late Lewis Grizzard, the author takes on social problems as well. Obesity remains an unacceptable norm for many of his fellow Southerners, and the popularity of crystal meth among struggling working whites is a scourge beneath the major media’s radar. Magee laments the decline in quality of roadside farm-stand produce, but approves of the inroads made by broiled salmon and Merlot in the land of fried anything and sweet, sweet iced tea. An entertaining and enjoyable journey with a most agreeable tour guide.